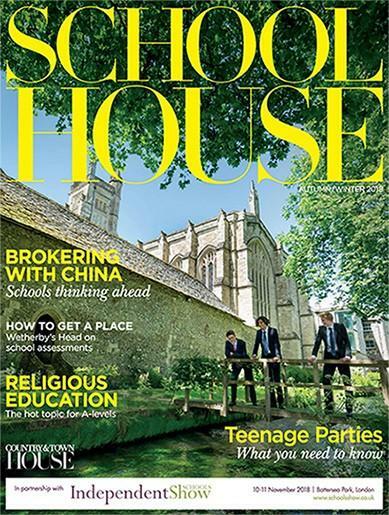 Edited by Annabel Heseltine, School House is an innovative education magazine and directory published twice a year, in February and September, to London’s most affluent homes. With leading contributors including Rachel Johnson, Barnaby Lenon, Christina Odone and Josa Young the magazine provides parents with all the latest education news and is a tailor-made guide to the very best London and county schools. As the UK’s leading guide to private education School House has become “an indispensable guide” in helping parents make the crucial decisions about where to send their children to school. Be the first person to tell us what you think about School House and you'll save £2.50 on your next purchase!